The Arkansas Repertory Theatre put it all on the line — the chorus line when they presented the 1976 Pulitzer Prize winning A CHORUS LINE in 2006. Directed by Cliff Fannin Baker, this was one of the last productions allowed before a Broadway revival. The musical, set in an audition for an unnamed musical, featured a cast of 25 triple threats. Bob Gaynor and Kathryn Mowat Murphy played the leading roles of Zach and Cassie. The latter had played the role three times previously, each directed by a member of the original Broadway production of the show. Others in the cast were Joi Chen, Case Dillard, Allison Stodola, Steven Baker, Darryl Calmese Jr., DJ Chase, Tony Falcon, Matt Gibson, Colleen Hawks, Hollie Howard, Kolina Janneck, Christina LaDuca, Deborah Leamy, Miguel A. Romero, Michael Susko and Melanie Waldron. Rounding out the cast were Dennis Glasscock, Matthew D. Brooks, Lauren Farrell, Joey Murray, Cameron Wade, Eric T. Mann and Kim Scott. The creative team included choreographer Lynne Kurdziel Formato (in her second collaboration with Baker at the Rep), Kristy Nicholson (musical director), Mike Nichols (scenery), Yslan Hicks (costumes), M. Jason Pruzin (sound) and Ken White (lighting). The production played from June 2 through July 2 of 2006. The Arkansas Arts Center Children’s Theatre kicks off its 2013-2014 season with Pinkalicious the Musical. The production will run from September 20 – October 6. Pinkalicious is a contrary little girl who can’t stop eating pink cupcakes despite warnings from her parents. Her indulgence lands her at the doctor’s office with pinkititis, an affliction that turns her pink from head to toe which sounds like a dream come true for a pink enthusiast, but she soon realizes that she may have gone too far. Bradley D. Anderson is the artistic director for the production. Direction and choreography by Scott Ferguson, costumes are designed by Erin Larkin, technical direction by Drew Posey, lighting design by Penelope Poppers, scenic design and properties by Miranda Young and Rivka Kuperman is the production stage manager. 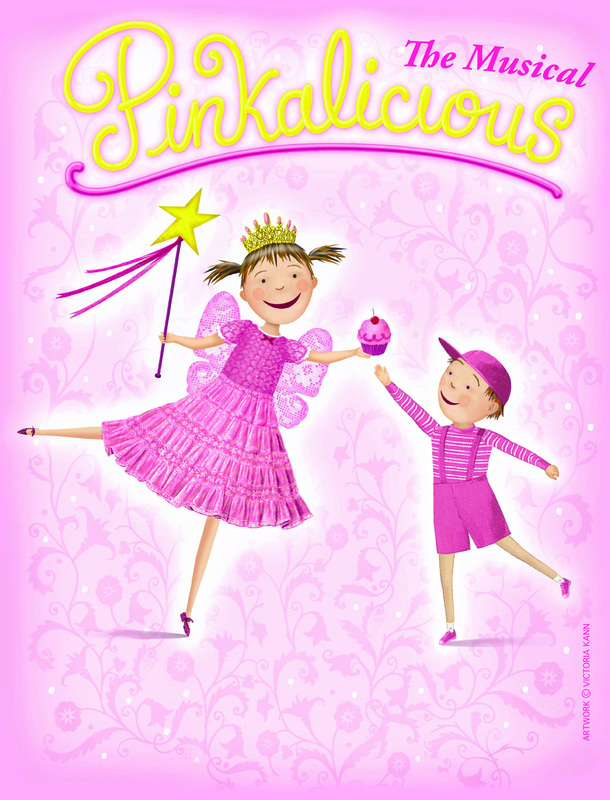 Pinkalicious is written by Elizabeth and Victoria Kann and is based on their book with the same title. Music is by John Gregor and lyrics by John Gregor, Elizabeth Kann and Victoria Kann. Presenting sponsors for the event are Landers Fiat and Arkansas Blue Cross and Blue Shield. The production is also sponsored by Centennial Bank, JPMS Cox, PLLC with in-kind support provided by Boulevard Bread Company. Pinkalicious the Musical is presented through special arrangement with and all authorized performance materials are supplied by Theatrical Rights Worldwide (TRW), 570 Seventh Avenue, Suite 2100, New York, NY 10018. For more information, visit www.theatricalrights.com or call (866) 378-9758. Recognized by The Drama League as one of the best regional theatre companies in America, the Arkansas Arts Center Children’s Theatre is the only professional company in Arkansas that produces children’s literary works for the stage. Since 1979, Children’s Theatre has been creating unique experiences for family audiences. During the 2012-13 season, nearly 43,000 children and families enjoyed Arkansas Arts Center Children’s Theatre productions which included more than 200 schools across Arkansas. For more information, visit arkansasartscenter.org or call (501)372-4000. “Like” the Arkansas Arts Center on Facebook for the most up-to-date information on exhibitions, events and educational offerings. 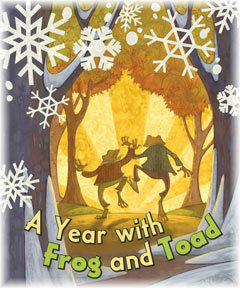 The charming Tony nominated musical A Year with Frog and Toad returns to the Arkansas Arts Center Children’s Theatre for the 2011 holiday season. It continues through this Sunday, December 18. Based on Arnold Lobel’s Frog and Toad stories, it was written by brothers Willie and Robert Reale. One of the show’s original producers was Lobel’s daughter Adrienne. Lobel’s son-in-law Mark-Linn Baker was one of the original actors. The production premiered at the Children’s Theatre Company in Minneapolis and then played Off Broadway before transferring to Broadway. The Broadway production received three Tony nominations: Best Musical, Best Book and Best Score. The cast is led by Mark Hansen and Dennis Glasscock as the title characters respectively. The other parts are played by Paige Herschell, Vanessa Sterling and Chris Straw. The set design is by Miranda Young, costume design by Erin Larkin, lighting design by Adam Britt and Lori Isner is the musical director. Children’s Theatre alum Scott Ferguson is the guest director of this production. He was a fixture on the Children’s Theatre stage in the 1980s as a teen. Since then he has received recognition as a director and author. His work Schoolhouse Rock Live!has been performed Off Broadway, nationwide and on the Arts Center stage. Based in Chicago, he is Artistic Director, Theatrebam Chicago; Collective Member/Director of Project Development, Bailiwick Chicago; a director and teacher at the National High School Institute of Northwestern University; Artistic Associate, About Face Theatre and a residency artist and teacher for Urban Gateways: Center for Arts In Education.